We all know that culinary dilemma - trying to decide what to have for lunch or for a quick snack when those pesky cravings come to visit. With so many tempting and accessible fast food options available, the choice is wide and the decision complicated. What if you wanted to grab something that was healthy and tasty. If you knew the number of kilojoules in your favourite food, would it affect the food choices you make? 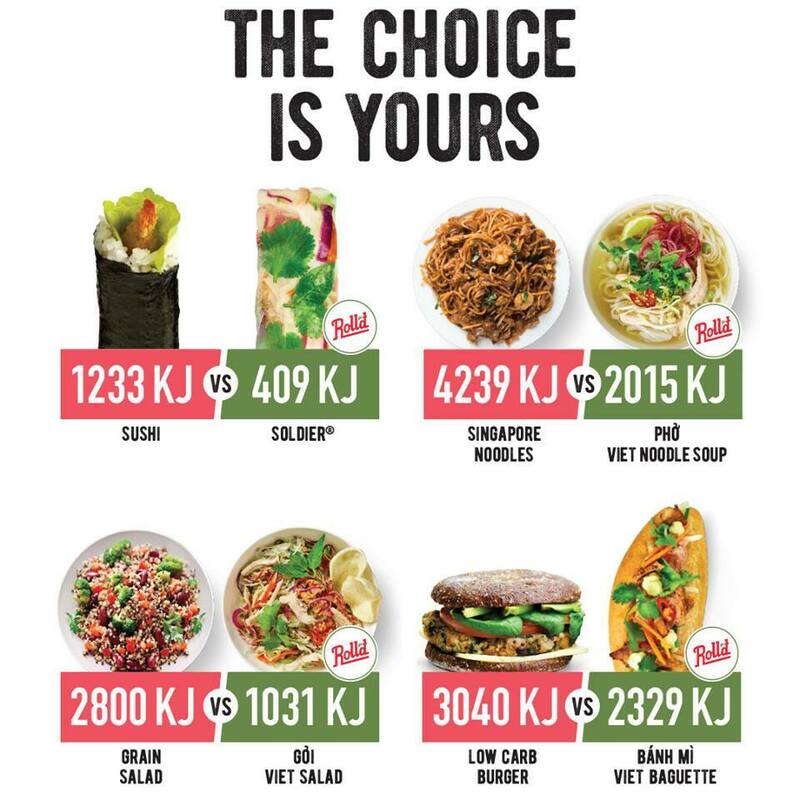 Roll'd has just made the choice that little bit easier through it's "Choice is Yours" Campaign The Choice is Yours is about presenting the number of kilojoules in Roll'd meals compared with its competitors. Roll'd is a Vietnamese food chain which aims for its customers to enjoy an experience that captures the essence of Vietnamese inspired street food, with an exciting modern Australian twist. Roll'd has 70 stores across 5 Australian states and 1 Territory. This was my first experience at sampling the Roll'd menu, so I was interested to try their Asian fused cuisine and take the taste test. 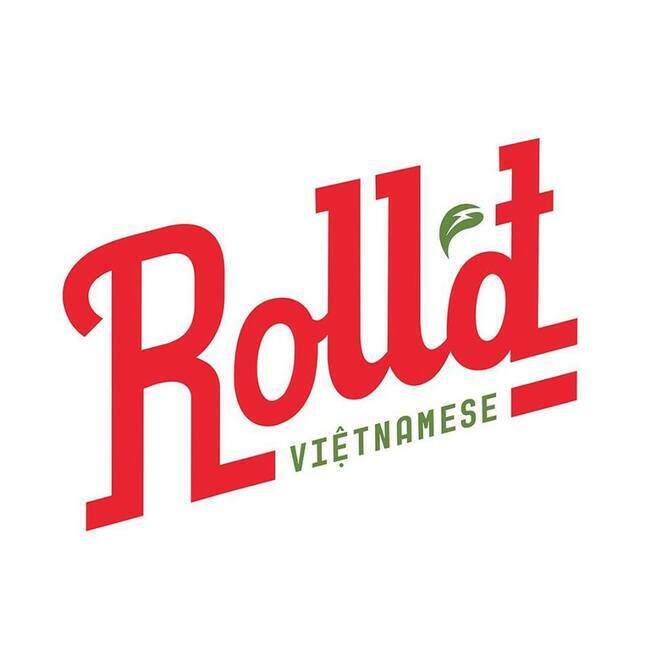 My drool-worthy catering box arrived from Roll'd and inside I found a luscious selection of rice paper roll soldiers which included a large range of delectable flavours such as pork and prawn, prawn and garlic, BBQ chicken, barramundi and avocado. The soldiers (at $4.20 each) were meticulously wrapped and filled with fresh cucumber, sweet carrot, mint, red cabbage, coriander. A side of dipping sauces gave these quick treats an extra zing. With a bit of research courtesy of Roll'd I found that the soldiers contain only 409 kilojoules compared with a comparative sushi roll at 1233kj. Yummy and healthy. You've gotta love that!. While the food was low in its kilojoules, it didn't lose any of its taste. The soldiers did contain a hefty volume of noodles but were tasty, healthy and delicious. I'm glad that I tried Roll'd. the food was fresh, flavoursome, and fulfilling. My lunch time treat me feeling comfortably content.The Choice was mine and I'm glad I chose Roll'd. Gillian I've had their chicken and avo roll and it was really good.